Everything needs to have a starting. Even in the world of digital marketing, when you consider SEO, you’ve to begin with something. Isn’t it? Keyword research is among the most important, high return and valuable activities in the field of search marketing. Ranking for the correct keywords can break or make your site. By researching your keyword demand in the market, you can not just learn which phrases and terms you should target when it comes to SEO, but learn more regarding your clients as well. Long tail keywords are more specific and longer keyword phrases that visitors are probable to use while they are close to point-of-purchase. By targeting long tail keywords, you can get high ranking on relevant searches even without needing to pay for every click. Here some example of long tail keywords for “Keyword research”. You can research long tail keywords right for your specific niche using tools available for this purpose. Do you know that using LSI keywords is more important than following a keywords density formula to get ranked high in the searches? LSI keyword is an important element for high ranking which can’t be ignored ever. LSI keyword research is thus very important. Here some examples to LSI keywords for “Keyword research”. How Keyword Research Tool Help Your Website To Rank High On Google? Keyword research is one of the first steps in a marketing campaign. Doing so can help you find what is important for your audience. As a result, you can get more business, more sales and more ROI. Keyword research can also improve your rankings by offering you more and more power on your keywords as well as what you actually do with them. Keyword research plays an important role in a content strategy. When you know what the people are actually looking for when it comes to exact keyword that they type in the search engines, you’re on the correct track to get the best visitors on your site. Knowing the correct keywords will give you the great power to generate the correct content which will offer you the online traffic you’re targeting. This used to be a difficult task, which is now made easy with the help ofkeyword research tools. Google Keyword Planner – This is a go-to keywords research tool for numerous search engine marketers, SEO professionals and AdWords as it is well known, free and comes right from the source. Google Analytics – This is an excellent place to discover keywords for your site, if you’ve a great flow of traffic coming to your site already. You can find lots of long tail keywords that you can target. Google Search Console – When you use “Search Queries” and “Content Keywords” you can find out how Google is actually reading your site. Using these 2 things, you get an understanding about how Google sees the site. Google Trends – This is an excellent way to discover which keyword variants are most popular along with history of keywords popularity and trend versus keyword planner. Bing Keyword Research Tool – Stop guessing what people are looking for and use Bing Keywords Research tool in order to get keyword suggestions and ideas for your content. You get quite similar keywords information from Google Keywords Planner. TermExplorer – This tool delivers the highest volumes of relevant keywords and most actionable competitive data. 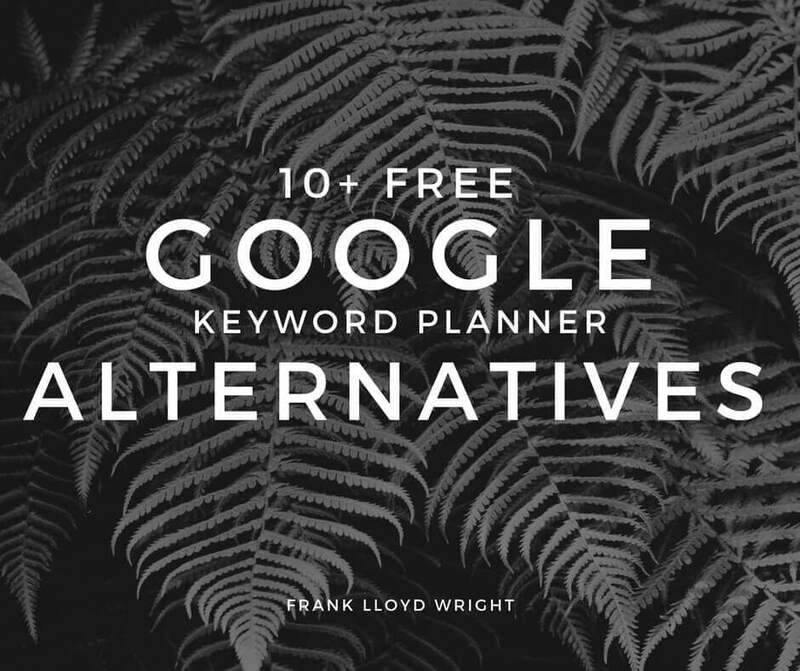 It is an excellent alternative to the Google Keyword Planner. SEOBook Keyword Tool – This free keywords research tool provides some very interesting features. For the seed keyword, you can include Google trend information easily. 7Search Keyword Suggestions –This tool offers you more if you place broad and shorter keywords. You can see the PPC data using this tool. Wordstream – Although it’s a mainstream keyword tool, Wordstream tool’s free version is a “meh” keywords tool. Basically it offers you lesser information than the Google Keyword Planner. Wordtracker – This is another great tool in keywords research game. This tool is very well designed to offer you with some great data, but is limited to how much it’ll spit out for free version. SERPS Keywordini – It’s a quite good free tool for SEO. It is quite same as Google Keyword Planner, but what makes it different is that it shows the keywords value as well. Keyword Discovery – This tool doesn’t base its data on Google only, but it gets data from a range of diverse search engines. It makes use of datasets for multiple search engines. Infinite Suggest – This is another free keyword research tool which offers you with never ending list of Google Suggest keywords. Hashtags – This is well known as defacto standard / resource to curate the world’s list of the hashtag definitions. WordZe – This is a free keywords research tool which helps you find the best keywords for your own niche selection, SEO campaign and more. Ultimate Keyword Hunter – This is a free, simple LSI keywords research tool which is very powerful. This tool intends to find the ideal LSI related keywords and terms with ease. ubbersuggest – This is one among the most famous Google suggest keywords scrapers. You can begin by entering a seed keyword and then it’ll add every letter in alphabet after the seed keyword. KeywordTool.io – This tool is quite alike to Ubersuggest, except that there are some notable differences. It beats Ubersuggest by offering more keywords. 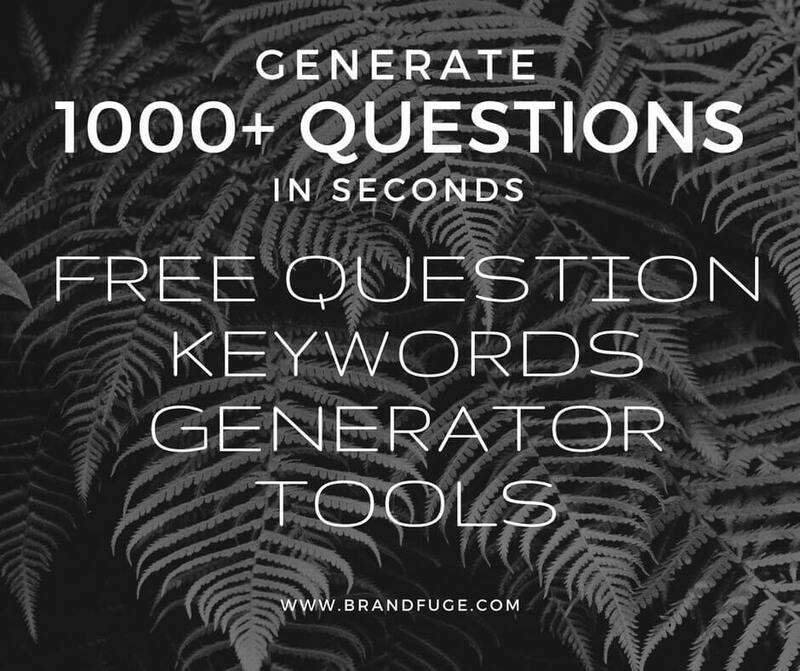 You can also get questions based on keywords using this tool. Soovle – This tool shows you the bird’s eye view of different sites autocomplete results. Soovle scrapes auto-suggestion from Bing, Google, Wikipedia, YouTube, Amazon, eBay, Yahoo, answers.com and more. SEO Chat Related Keywords – Using this tool, you can find some really good keywords as it offers good keyword ideas for single keywords or short keyword phrases too. It works out best with extremely short seed keywords as well. Keyword Tool Dominator -This tool is similar to Ubersuggest; however, it’s laid out visually to create your custom keywords list. SEOBook Keyword Suggestion Scraper – Although this tool does not generate as many results as other tools in this list, it possesses the exclusive features of being capable to click on keywords to see the related keywords. Keyword Shitter – This is an amazing tool for you if you want to find out many keywords. This tool helps to create a long list of keywords automatically and allows for positive and negative filters. Tejji – Being similar to keywordtool.io and ubersuggest, this tool also separates every keyword and letter of alphabet into squares. It offers a nice visual of every letter. Answer The Public – Answer the Public is a great tool to generate question. It generates the question based on what, who, where, why, when and how. WebPage FX – A very useful and interesting keyword tool, WebPageFX lets you scrape the popular sites based on the entered seed keywords. It is an efficient and quick tool to find out new content ideas. SEMRush – This is one of the best competitors’ keyword analysis tools as it offers you gazillion keywords, and shows what keywords sites are ranking for actually in the wild. SpyFu – SpyFu offers you with some data, both related to keywords and a range of other things. SpyFu’s another great advantage is that it shows you how competitive any keyword is to rank for. KWFinder – This tool has an excellent UI and the tool is limited in its free version. You just need to enter the keyword, select the location and language to get the keywords. KeywordRevealer – This is a small SEO keyword tool, which offers 3 free searches every day. Simply by entering the seed keyword on this tool, you can get a complete list of keywords with CPC, monthly searches data, domain availability, estimated profit, etc. Screaming Frog – This free SEO keyword tool lets you crawl your site and competitors’ sites. It’s a desktop application available for Windows, Mac and Linux. Similar Web – It is similar to SEMRush in its working. You can just type a competitor’s site to get the competitive analysis data and to get more of data you need to upgrade to premium version. Tagcrowd – This is a very interesting keyword tool. It lets you enter web page and it’ll analyze content to offer you lots of keywords. LSIGraph – LSIGraph is one among the best keyword research tool to generate LI keywords for free. You can enter seed keyword and then it’ll deliver great LSI keywords along with long tail keywords. Niche Laboratory – This is a completely free online keyword research tool which can help discover niches and topics. It is a great keyword tool which generates LSI or related keywords. Google Correlate – Google Correlate is restricted to find usable LSI keywords only. 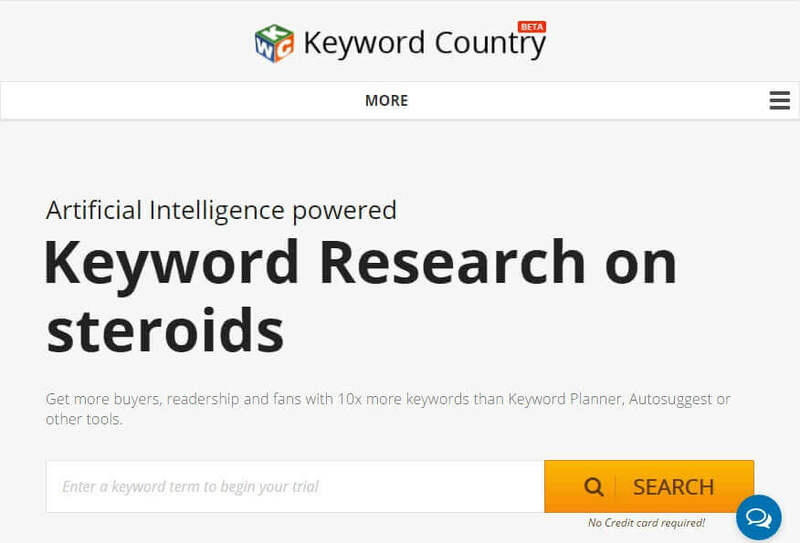 This tool works best when you enter shorter keywords and it is worth taking a look. SEO Book Keyword List Cleaner – This keyword list cleaner tool is a great keywords tool to clean the keyword list. Toy can easily copy and paste the big keywords list and select how you wish to clean it and it’ll do its thing. SEOBook Keyword Density Analyzer – This is a cool keyword density tool as it breaks down keywords and content really and shows you keyword and count density. Keyword Density Analysis Tool – This is another great keyword density tool, which shows you similar data as the SEObooks keywords density tool. Merchant Words – It’s one of the few keyword research tools which scrape Amazon data. You’ll get similar results looking for keyword with a tool which uses Google data as well as Amazon data. Bulk Keyword Generator – The tool is great for Local SEO, since you can enter the location and services to make a complete list of keywords. SeedKeywords – It’s an interesting, but different kind of keywords research tool. The tool takes a unique approach to keywords research which may be helpful. Moz Keyword Explorer – This is the best tool to discover as well as prioritize the best keywords you should target. You can estimate your competition as well using this tool. K-Meta – The key feature of this tool lies in domain analysis features. Being capable to find out what keywords the competition gets ranked for is important information to have; therefore, this is another good tool to use. Moz Toolbar – Use this tool and go beyond phrases and raw terms matching in your keywords research to remain ahead off demand curve by simply targeting the long tail opportunities. SEO Quake – This is a very powerful SEO toolbox. Check out any webpage or huge selection of the SEO parameters with this free SEO Quake browser extension. SEOBook SEO Toolbar – This SEO toolbar gets in many helpful marketing data points in order to make it simple to get holistic views of competitive landscape of market in search results directly. Ahrefs SEO Toolbar – Get the most imperative SEO metrics for pages you visit. Quickly get access to Ahrefs SEO metrics when you browse the web. Keyword Keg – It’s an incredible extension for Firefox and Chrome which enhances many other famous keyword tools. It’ll show keywords volume as well as CPC data automatically. Wordtracker Scout – It’s similar to tag cloud, but is browser extension available for chrome. It’ll let you see a huge word cloud of the keywords when visiting a page. KGen – It is similar to the Wordtracker Scout; however, it shows it like a list rather than a word cloud. It is available for Firefox only. Keyword Categorization Tool – It’s a helpful Excel tool for quickly categorizing big lists of keywords. It is more of Excel template; however, it speeds up keyword categorization process. Bing Ads Intelligence – This tool is there to make keywords research simpler by introducing the Bing keyword data in Excel. It’s a great Excel plugin which pulls info from Bing. Keyword Search lets you change the search engine used when you are searching from address bar. It lets you change the search engine utilized on about:home, new tab and menu which comes when you do right click on web page. Synonym Addon – This is a winning rhyming and thesaurus words plugin with a convenient checkbox system which offers a wide range of synonyms. Keywords Everywhere – Use this keywords tool add-on to see useful keywords search volume along with the cost per click data available on multiple sites like Google Analytics, Google Search Console, UberSuggest, Moz Open Site Explorer, and Majestic Anchor Tex page. Keywords Everywhere – Get keywords search volume and CPC data from multiple sites using this chrome extension. SEO Stack Keyword Tool – This is a very powerful keywords research tool to increase your content marketing and SEO. It’s a simple and fast long tail keyword generator tool. Highlight Keywords For Google Search – This extension highlights Google search keyword in web pages so that you can find relevant parts of the pages instantly. 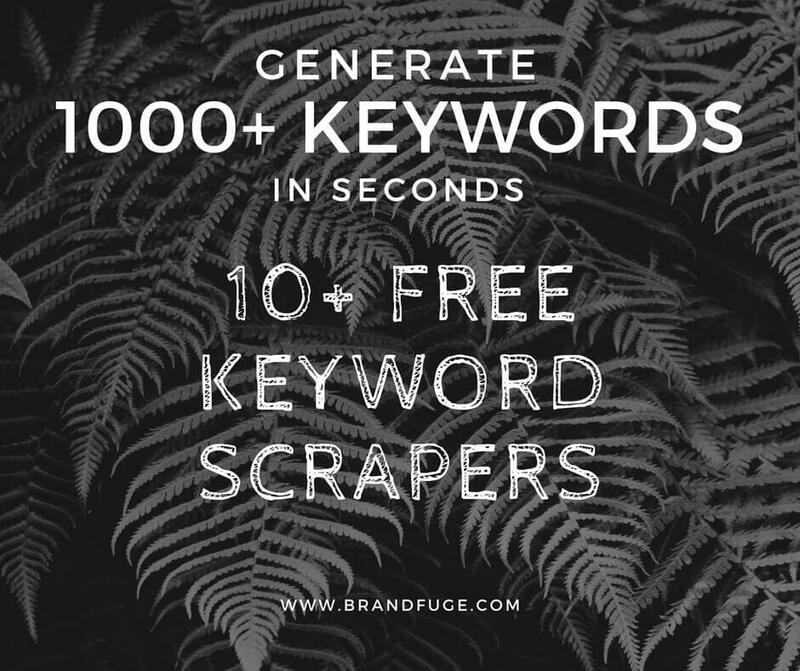 FREE Keyword Tool by adCore – It’s a must have for your PPC, SEO, SEM and analytics keywords research and it includes Google keyword ideas, abiloity to generate thousands of keywords, Google search terms, filter results, etc. Not satisfy yet. Check out the list of premium tools below. 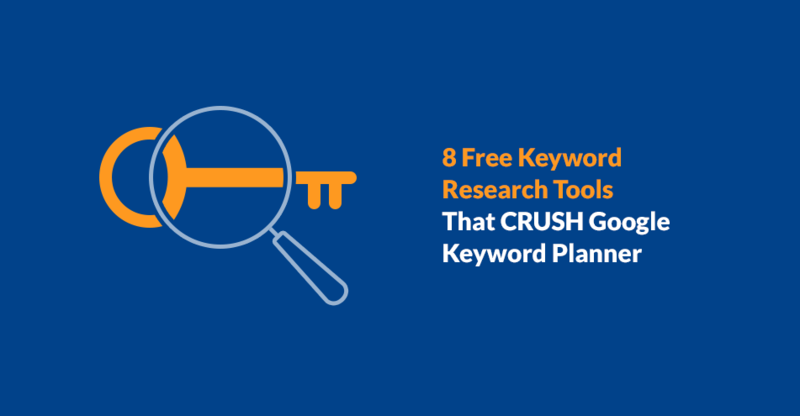 This is one of the most powerful and excellent keywords research tool. It’s a premium tool for good reasons. Many SEOs believe that Long Tail Pro helps find keywords that wouldn’t have been discovered with the Google Keyword Planner. This tool can help you find out long tail keywords having exact number of words. Moreover, its customizable search option offers a definite number of searches/month. With Long Tail Pro, you can research keywords to discover profitable niches. It also has the ability to find domains depending on keywords search results. With this tool, you can also filter the keyword results simply by local searches, CPC, number of words, advertiser competition and keywords competitiveness. So, start using this tool’s stepwise system to find out thousands of targeted, profitable keywords and also calculate keywords competitiveness for any niche. Raven tools help you conduct keywords research and competitors’ research. Research Central of Raven Tool lets you to do an in-depth and complete SEO keywords and domains research with the data from Majestic SEO, OpenCalais and SEOMoz in one place only. The tool is part of Raven Tool premium membership which begins with a free trial of 30 days. You get competitor and keywords insights and intelligence using this tool quickly. This is another powerful tool that helps you find untapped niches that the other webmasters are actually overlooking. Keyword Snatcher helps you to generate local keywords from the database of over 3 million cities. A really big number! You just need to add your keywords and get the localized keywords and phrases for nearly every country. It latest version can even extract the keywords from YouTube. Its web based version works well with Mac, Windows, Tablets, Linux, etc. If you’re into digital marketing or you run any business online, then you should definitely have Keyword snatcher within your arsenal of Keyword Research tools. Until this point, most of us have been thinking about relevant keywords ourselves and adding them manually into a sheet for doing analysis. But what if you find a tool which can do all of it for you? 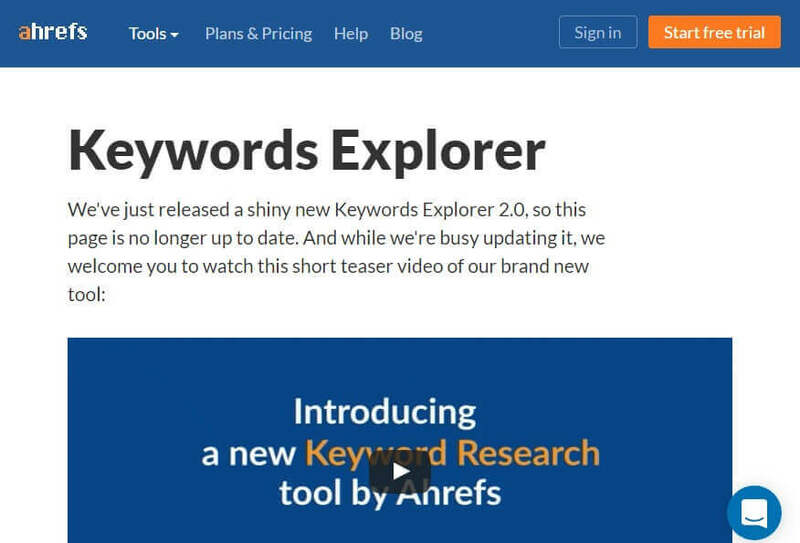 Keywords Explorer by Ahrefs is an outstanding solution to find related keyword for any terms. This is an excellent tool to brainstorm new keywords ideas and determine your possibilities to rank for any keyword. This is a brand new tool by Ahrefs. Start a free trial of this tool today and take content marketing to next level using this tool. It is as easy as typing in a few existing keywords in the search bar. It offers access to the largest keyword database that is derived from all search engines. You get quick access to the search phrases that most people use to find out services and products along with search terms that draw traffic to competitors. More than 80% online transactions start with keywords search In order to compete, you should target all related keywords. This tool has the biggest database of the search terms and wide range of advanced features for search to assist you find the more relevant keywords. The main features of this tool include keyword research, seasonal search trends, keyword density analysis, spelling mistake research and more. Keyword Discovery also helps you optimize meta tags and web content, maximize your PPC campaigns and take the traffic away from competitors. It is a keywords management tool, keywords research tool and keywords analysis tool, which is designed mainly to reduce the money, time and efforts that goes in finding which keywords should you target. The main features of this tool include analyze keyword competition, keyword research tools, 12 keywords filter, keyword management, import keywords from the Google AdWords Keywords Planner and group keywords for simple keywords management. 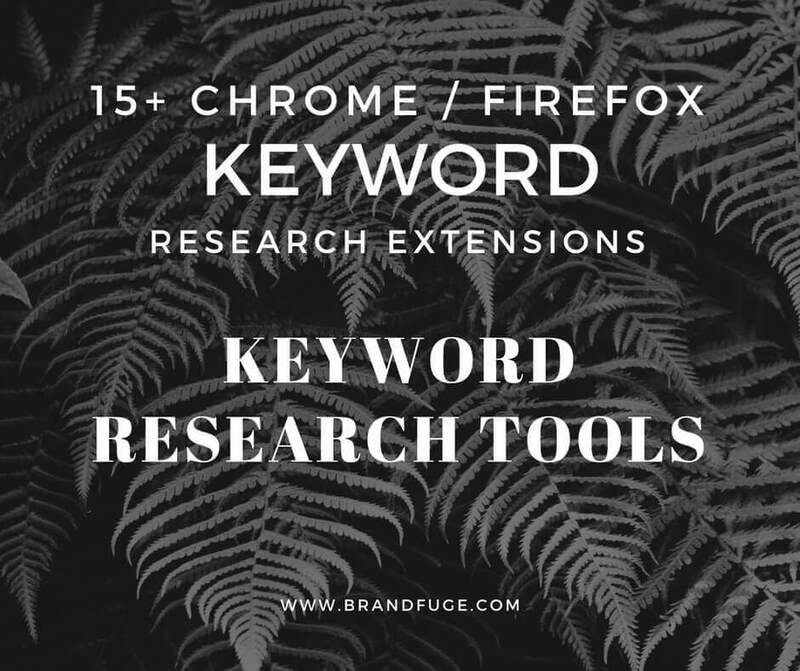 You can utilize this tool to make a keywords pool, add unlimited keywords, import keywords from Google AdWords Keyword tool, find long tail keyword, analyze keywords competition. When it comes to Page Rank, Search Engine Competition and Keyword Effectiveness Index and filter the keywords by competition, search market and keyword phrases with twelve different criteria. Register yourself today to get full access to keywords analysis tool, keywords research tool, keywords management tool with highly advanced grouping and filtering and content helper. With a user’s base of over 50K, Keyword eye is one of the top keywords research and competitor research tool. This tool will show you what the people are looking for on Google, YouTube and Amazon. With this, you’ll get to know the long tail keywords you should target. You also can find out what the competitors are posting as well as linking to along with the question asked by people. 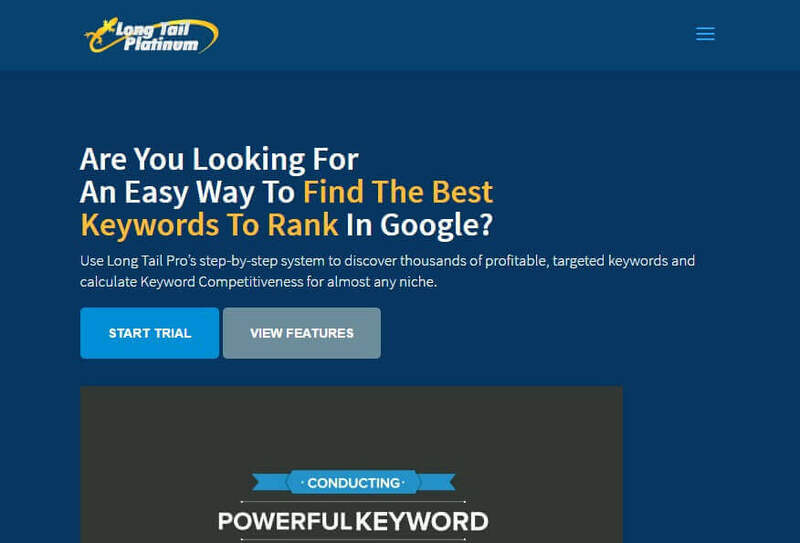 You can get hundreds of profitable keywords within seconds using this tool. Other than that you can calculate keyword competitiveness, competitor keywords, save/analyze/sync keyword and export the data to excel. Moreover, you can have your 10 team members work together on same account and share the research, making it a very powerful tool for the SEO marketing firms. When you buy a package for keywords research from you, they offer you with a 30 days money back guarantee. It’s a SEO keywords research tool and competitive analysis tool. 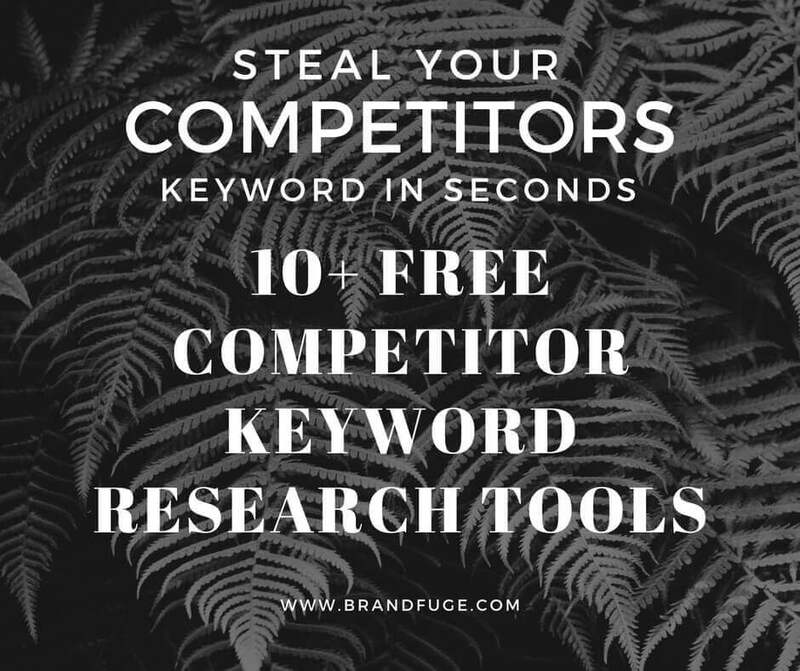 Using this you can find hundreds of keywords opportunities within seconds, breakdown why the competitors are getting ranked for a keyword quickly and compare social signals of your competitors at a glance. That isn’t the end of what this tool has to offer SerpIQ also help you identify how old the competitors websites are, stay organized by easily grouping the keyword, search and filter through the analyzed keywords and take a deeper look at backlink profiles of any highly ranked URL. Check our our free backlink checker tools to get more link profiles. This tool features all what you need for a successful SEO. You can find your competitor by keyword, analyze their keywords, etc using this simple to use tool. Long tail keyword is quite important, but how will you find them? Concentrate’ long tail keyword search analytics take complete care of most legwork included in identifying most excellent long tail keywords, letting you focus on knowing and serving online prospects who utilize them to discover you. This tool integrates the results from wide base of the data sources along with leveraging your current resources, like competitive intelligence, paid search query result and industry keyword lists. And similar to any of the search analytics tools that are worth considering, this tool allows you to take it for spin at no costs at all, offering you an opportunity to notice how much money and time it can actually save you in the search for top-class long tail keywords. Concentrate offers you quite manageable views into all the search traffic, both yours and your competitors. FreshKey is an accurate and fast keyword analyzer. It helps you search Google, Amazon, Etsy, YouTube and much more for the buyer keywords within your niche market, so that you can spy your competitors and find their most excellent buyer keywords. FreshKey lets you check your results as well as find how big this universe is for the newly found buyers’ intelligence by running same search on YouTube, Google, Bing and more. With FreshKey, you can search the data to discover hidden buyer keyword, hot niche market. This tools lets you view the Google trend data within real time with some historic views showing the trend data begin data via the most latest search. Google’s Trend prediction data is also included which shows the forecasted trend of the keyword phrase as per Google’s algorithm. With this tool, you also get a 30 days, no question asked guarantee. Good Keywords is excellent Windows software to manage your keywords. This tool can be used for import keywords CSV files from the Google Keywords Tool in a local database onto your hard disk, generate long tail keywordsby making use of a range of options, query local database too discover the needed keywords, create keyword phrases, discover and manage the negative keywords, organize and manage keyword list using Keywords Manager and examine relative popularity of diverse websites using Link/ Site Popularity Tool. Good Keywords stores your whole Google keywords research in order that data is available to you always. You can easily copy and paste generated keywords in an external application. Moreover, you can organize keywords in groups and export this to text files. Good Keywords Keyword Manager includes a big set of the tools to generate long tail keywords. GrepWords is API based sophisticated keywords toll which includes a big set of tools, including Excel plugins and Chrome extensions. It merges a fresh, massive keywords database with related APIs to get you the best keywords tool hands down. It merged a big updated keywords database with industry leading lookup and intuitive featured to get one of the finest keyword research tools in the market at very reasonable prices. GrepWords has lot of cool features at offer. An outstanding Question Finder tool is excellent for finding out content opportunities. Its Divergent Trend Tool displays what time of year certain keywords will spike. For example, which gift cards keywords perk up around Halloween or Christmas keywords that are related to “Costumes.” Lot of digital marketing experts like to use the other tools on offer by GrepWords. The Google’s Hummingbird update gets a new understanding for searches and HQSuggest brings the data that you need. This is a super overwhelming tool which can discover thousands of keywords you might have never thought of. HQSuggest can scrape hundreds of questions and keyword from nine major eCommerce sites and search engines. This tool is the best answer to Hummingbird and can simply find what question people are looking for including “What Is” and “How To” questions. It can also scrap keywords utilizing different platforms, supports local Google search engine and Proxy Servers, and can scrape both questions and keywords. HQSuggest is easy to use as well as install. Keywords and products searches are also available. Jaaxy is a great online keyword research tool which will decrease your keywords research effort to bare minimum. Whether you are beginning a new niche site or attempting to write next famous article, this tool can help. This tool gathers the search data from three key engines (Yahoo, Bing and Google) and shows it in a simple way. Jaaxy offers the collected search data in more appropriate way for niches pursuing people. It offers information about the keywords competition and many other helpful stuffs. Jaaxy is excellent for many things like learning how competitive any keyword is, revealing unexploited higher traffic niches, knowing what amount of traffic you may expect if you select a specific keyword, finding the low competitive keywords which make it simple to get immediate ranking. Brainstorming new keyword and niche ideas, unveiling the keyword metrics which will assist you increase your SEO endeavors. With comprehensive, powerful and affordable software such as Keyword Country, you’ve all tools at your fingertips to make a targeted and well researched SEO site, market your site utilizing all major sources and spy on competition to find the niches you can shape for yourself to remain ahead of the whole curve. This is a great suite of tools comprised of 3 main functions that let you optimize your own marketing campaigns including planning your site, spying on competition and promoting your site. The simple to use, powerful suite of software offered by Keyword Country has really made it probable for lots of businesses to effectively and quickly optimize their marketing campaign and get an edge by knowing what their competition is doing and then use it to carve an exclusive niche for your website. So, optimize you marketing strategy to meet the fullest potential using this tool. This is a great time saver tool for anybody looking to reveal low competition keywords. Begin focusing all your SEO efforts onto simple to rank keywords with lower difficulty scores. This tool with reveal thousands of long tail keywords for all the imaginable niches. Once the keywords get discovered, you’ll be able to see the difficulty score for every phrase and evaluate the competition for presently ranking on Google’s first page. The tool will let you discover the particular context in which the keywords are used in the search engines. You can also track the rank of your terms daily using Keyword Revealer’s rank tracker tool. Apply the chosen terms to your own strategy and begin dominating your specific niche today. You can also reveal ranking difficulty and the metrics instantly for your keywords for selected keywords. 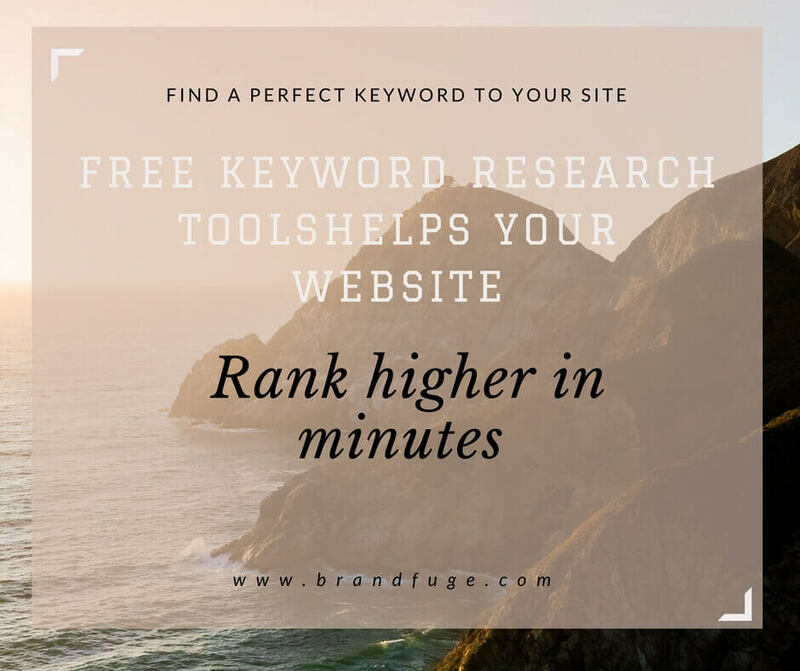 This is a keywords workspace for the SEO professionals that can save efforts and time on thorough keyword research letting marketers take their own organic marketing strategy to the next higher level. It’s a cloud based keywords research platform that is used for accelerated keyword research. The keyword “workspace” strategy helps the professional content marketers and SEOs to reduce complexities and save many hours on every project by quickly combining everything they require on one screen only. The software is a mix of automation for utmost productivity together with manual control needed to get the results that you want. This is best for those who do lots of keywords research like agencies, content creators, internet marketers and affiliate marketers. Some of the features of this tool include automatic keywords grouping, automatic categorization, select target group with a single click, and easy customization. It’s a suite of tools to help Amazon sellers to get a benefit over your competitors. While every tool is a separate tool, you can count on many tools at once in order to assist you find/optimize/sell more products and quickly on Amazon.com. Free Amazon Suggestions tool, and Free Amazon Search Terms Optimizer Tool. Using KeywordInspector’s ASIN tools, you can automatically find millions of keywords. Using this tool, you can discover all keyword used by Amazon clients to find a niche/product on Amazon. You really can find thousands of keywords with a blink of your eyes, many that you wouldn’t have imagined of ever, but they still make great sense. Every keyword has Estimated Amazon Search Volume that’s updated on every day basis to make that most accurate on market You will find over 3.3. billion exclusive ASIN Keywords Combinations inside its database. Find the hidden keywords that the buyers are looking for right now. With KeywordXP, you can get up to 801 keywords variations, detailed competitor analysis, long tail keywords research, trend reporting, viral blogs title generator, trend reporting and domain name generators or checker. You can get the “Real” keywords people are looking for now and utilize them to fine tune the search parameters. You can also find the exact question people are looking for and then click on any of them to get hundreds of recommended article titles. Maximize the keywords research by searching all over Amazon, Google, eBay, Bing, YouTube and Ask – big collection of resources. KeywordXP also offers you the opportunity to analyze top 10 strengths and weaknesses of your competitors for a URL or keyword to get a competitive edge. You can double click on a phrase or choose “drill down” to look for long tail keywords on a deeper level. It’s a premium keyword research tool which offers many keywords management and competitive analysis features that many people will find useful like group and manage the keywords list, generate keywords suggestions, create ad groups, research and examine PPC competitors, export the ad campaigns and keyword lists and much more. iSpionage keywords research tool has 2 distinct features that include Relevant keywords generator and competitors keywords finder. Relevant Keywords generator by iSpionage identifies your keyword and suggests the most relevant keywords only in relation to the original list of keywords. While the competitors keyword finder by iSpionage scans more than 8 million keywords utilized by over 4 million advertisers on different verticals at time of writing. This is a very useful tool or the search marketers who are looking to get competitive and intelligent data to optimize or improve their campaigns.